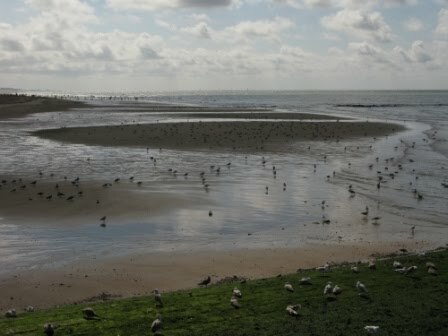 The past week I have been working a lot in the nature reserve "Het Zwin", on the Belgian-Dutch border. 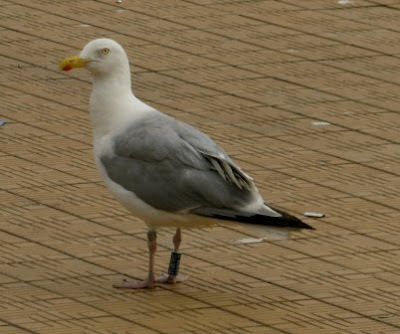 Many gulls can be present, giving me the opportunity to check them for rings. 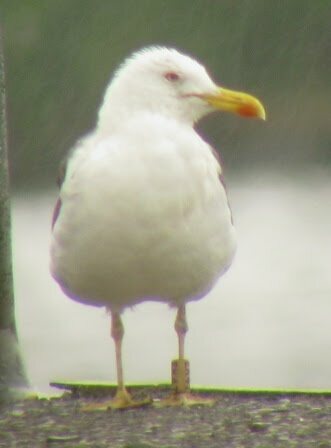 I have found already a few Dutch birds, and today some Belgian birds were present too. Apart from these, I could also read 2 different c-ringed Spoonbills, one from Germany and one from the Netherlands. 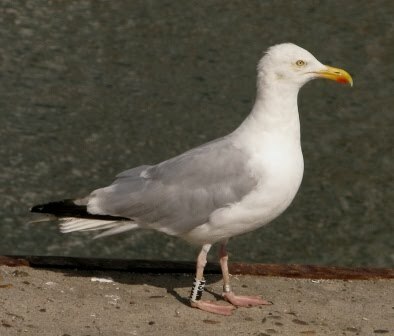 Yesterday, I visited Oostende to look for gulls. Best birds were 2 Yellow-legged gulls. However, since a part of the beach was closed off to the tourists, many gulls were coming in at low tide, giving me the chance to read more than 30 different rings in just one hour! 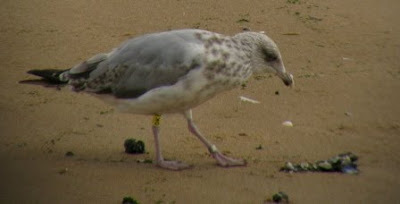 Mainly Belgian Herrings (including many young birds, which have been ringed in the past few weeks), but also two British birds, one French one, and a few Dutch ones. Earlier on, in the habour, I saw many familiar birds, and also a few ringed LBBG's. Very nice, and totally unexpected, so I returned home very happy. I was also informed by Juan Ruiz that LBBG red 248N, which I saw in April this year, had returned to Madrid already! View of the beach at Oostende yesterday. 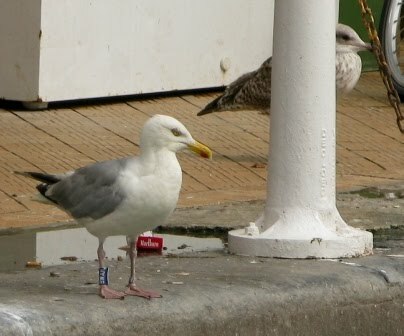 Resident British Herring white A3MM (R Thompson), already present for some years near the fish market. 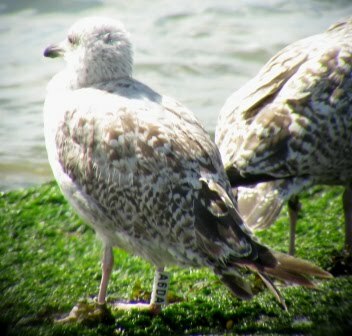 Herring white A6DA (R Thompson), new bird, great to find another British bird here! 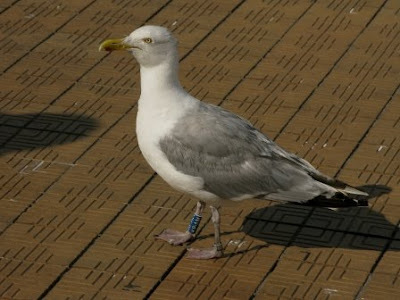 Herring blue KP.AM (E Stienen), another resident near the fish market. Herring blue L.JAT (E Stienen), one of the many Herrings present. 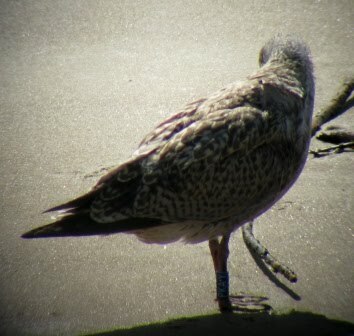 Herring yellow OK (RJ Buijs), also present on the beach. 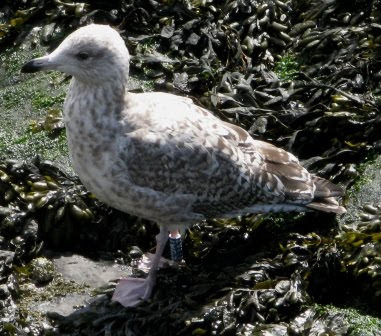 Herring blue PKA.Y (E Stienen), one of the young birds present. 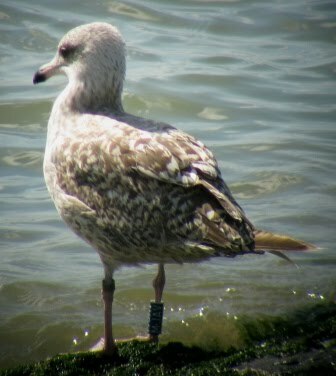 LBBG blue AHAW (E Stienen), in the harbour near it's breeding place. 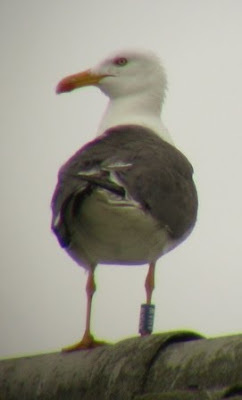 Orange EK47 (N van Swelm), present for many years and breeding here.